Аватар Korra. Korra, the Аватар after Aang.. HD Wallpaper and background images in the Аватар - Легенда об Аанге club tagged: avatar the last airbender legend of korra. 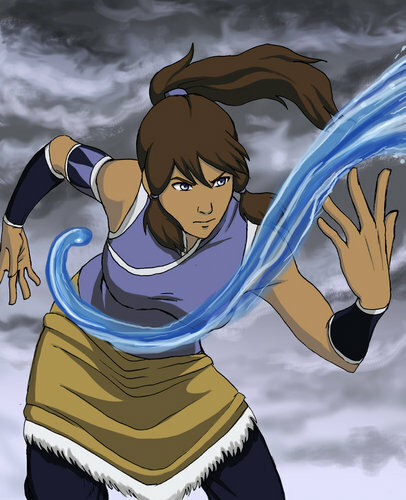 I think Korra looks pretty good. She reminds me of Katara, and she has to learn Air from Aang's and Katara's son. She has her m]omther's (Katara) hair and nose and her father's (Aang) face. she's not katara's and aang's daughter? No, she's not. There can only be one Avatar at a time so a new one can't be born until the last one dies. The Legend of Korra is set 70 years after the original series and Aang's son Tenzin is her airbending teacher. he dies well im sorry if im wrong but thats what my dad told me and my resurch. (spelled some stuff wrong) and bessides they will live 70 years later. will u think she will hav thing 4 Aang son? that is such a mature comment. How old are you? 6?